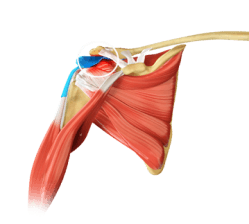 The rotator cuff is the group of four muscle tendon units in the shoulder joint providing support and enabling wider range of motion. Major injury to these tendons may result in tear of these tendons and the condition is called a rotator cuff tear. It is one of the most common causes of shoulder pain in middle-aged adults and older individuals. It may occur with repeated use of the arm for overhead activities, while playing sports, or during motor vehicle accidents. Rotator cuff tears cause severe pain, weakness of the arm, and crackling sensation on moving the shoulder in certain positions. There may be stiffness, swelling, loss of movement, and tenderness in the front and side of the shoulder. Rotator cuff tears are best viewed on magnetic resonance imaging. Symptomatic relief may be obtained with nonsurgical treatments – rest, shoulder sling, anti-inflammatory medications, steroid injections, and physical therapy. 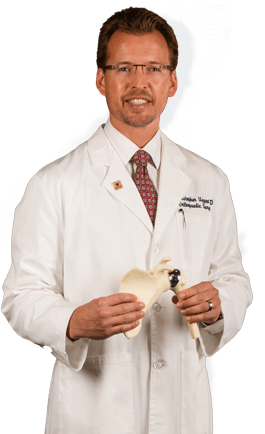 Surgery may be required to reattach the tendon back to the shoulder bone. The television camera attached to the arthroscope displays the image of the joint on a television screen, allowing the surgeon to look throughout the shoulder at cartilage, ligaments, biceps, and rotator cuff. 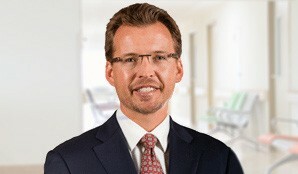 The surgeon can determine the amount or type of injury, and then repair or correct the problem. 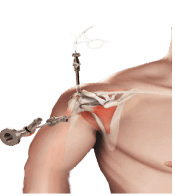 During rotator cuff repair, absorbable anchors with sutures attached are placed in the humerus bone. These sutures are passed through the torn rotator cuff tendon and then secured with knots or additional anchors to hold the tendon down to its insertion site. The tendon then heals back to the bone over the next few months. After rotator cuff repair surgery, you will be in a sling for six weeks. Physical therapy and home exercises are then performed to restore the shoulder motion, strength, and endurance. Return to full activities is usually 5-6 months after surgery.